When planning for your second wedding use heartfelt, common sense before announcing your new engagement. Some couples who have previously been married may have children and previous family members who need to be informed personally of your new future. Inform them first before announcing it to the masses. Putting together a wedding can be time consuming but expensive. One of the ways to help with the cost is to put together a pre-wedding fundraiser ( Jack n Jill / Buck n Doe/ Engagement Party) . The basic idea is to invite friends and family to celebrate your coming nuptials. It is a fantastic way to get together and have a laid back introduction before the actual big day. It is also the initial time that your wedding party gets together as a team for your cause.. Regardless of the size of the wedding party this is the time to “lean on your friends” . The bride and groom shouldn’t have to carry the weight of planning , organizing and executing this event on their own. Finding a venue should be your first course of action.The idea here isn’t to get a reception hall on top of the one already booked for your wedding reception . You are looking for a minimal cost facility (Royal Canadian Legion , City Recreation Centre or even a friend’s home ) . Ask around and see what venues your friends have used. Check with the venue to see if you may need a Special Occasions Permit regarding your function . There are quite a few ways to get tickets done . One of the cheaper ways is to print business cards with all the information on it and sell those. Make sure you have numbers printed in opposite corners or a place to fill out names .Have half perforated or just rip it in half once the guest shows up for door prizes , raffles or draws . This is where you will be using your wedding party and immediate family to help sell those tickets! A sure fire way to get everyone fed cheaply is to have a potluck. Moms , Aunts and Grandmothers love to assist with this one . You may also just want to order some pizza. Give the local pizza store a call before hand and let them know that you will be doing a few large orders . Jokers Wild, 50/50 Draw, Jelly Bean Jar , Silent Auction , Raffle & Door prizes , Toonie and/or Loonie toss , Mini Putt , Goldfish Insurance , Food Auction , Relay Race or Jail . 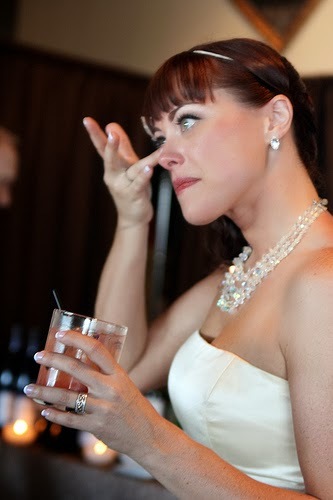 Think saying “I do” is going to be the most emotional moment in your wedding? Probably so, but putting down a deposit on your wedding venue could be a close runner-up. Reception costs consume almost half the budget for the wedding, which these days means you can expect to lay out almost $ 18,000, including food. And the venue you select can not only limit your choice of caterers or bakers, it’s sure to affect how much you spend to “cover up” its weak spots or accent its highlights. Most stressful of all, the popular venues book far in advance, forcing brides to make the big decision almost as soon as they set the date. Do you have a pre-set list of caterers I can use, or can I choose my own? Some venues — high-end ones with their own catering staff, or small-town ones with little competition — require you to use the in-house caterers or choose from a small list of “approved” vendors. It can be difficult to get taste-tests or otherwise put this type of vendor through its paces. If you’re stuck with such a list, search high and low for brides who have “been there, done that” and can give you their honest opinions. Many venues have them, but rules vary widely from place to place. Common restrictions include: no open flame (or no flame whatsoever), no tape or tacks on the walls, or no confetti. When linens are provided, some halls will prohibit the use of pins. Ask if the hall can provide any decorations themselves, especially around holidays. Useful centrepiece items such as hurricane lamps or Eiffel vases are not uncommon. Can we bring our own liquor, is there a “corkage” fee, and do we need a license? 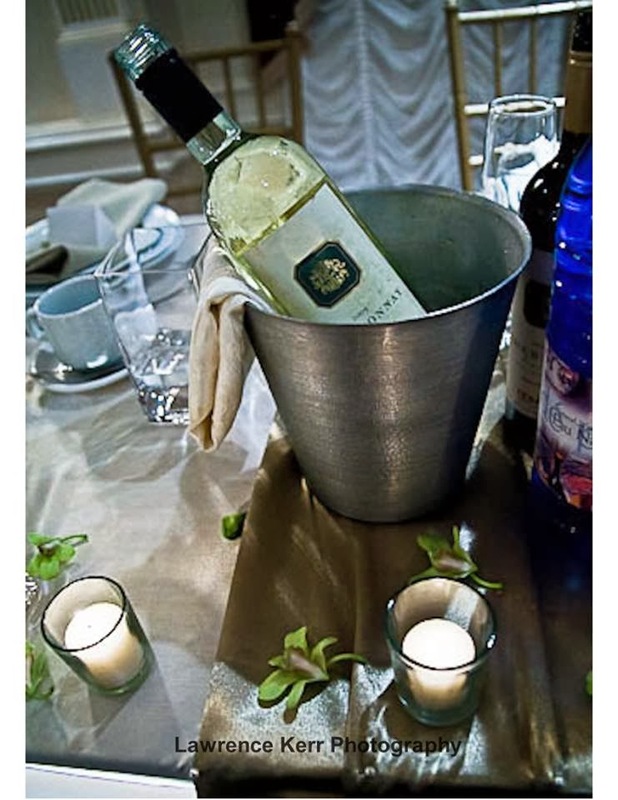 If the liquor’s to flow freely at your wedding, you’ll save an immense amount of money by bringing your own. But some venues prohibit this and require you to buy from them. Even worse is the venue that says “yes” to bringing your own alcohol, but charges you a mandatory “corkage fee” to serve it — which typically starts at an unbelievable $10 per bottle or more! You’ll want to be crystal-clear on the fine print regarding alcohol before you commit to a venue. Some venues even limit your choice of bakers, but most don’t. A more common (and sneakier) tactic is to charge you a cake-cutting fee, which like corkage fees, can really add up — often at $1 per slice! – Bring a tape measure. Get the dimensions of the room, the tables, and the distance between any features that might impact your decor, like windows. How many outlets are there and where are they located? What kind of climate control is available to you? – Check the kitchen. Does it look clean, roomy and suitable for your catering staff to work from? – Check the hall itself. Where will you put the DJ , the cake table, the coffee service? Are there coat racks for your guests? Is a sound system available? Is there an “tie-in” fee to bring your own entertainment ? – Check out the parking. Is it ample? Is it paved, or can it get muddy in the case of rain? Is there handicap access? One final thing to get clear before you autograph that contract is your venue’s cancellation policy. But hopefully, with these helpful tips, you’ll have done enough homework to rest easy in your choice and not worry about having to cancel. Now that you’ve signed, take some time to sit back and relax … before you tackle the next task in that thick wedding planner! The concept of wedding jitters or cold feet (leaving the bride or the groom at the altar) is not a new phenomenon but has been around for as long as anybody can remember in some form or shape. Movies like Runaway Bride and the recent news in the media about brides walking away from their pending nuptials has captured our attention in more than one way. What is behind this Cold Feet concept? I am sure the root cause is some psychological reason for both men and women which terrifies them to take the plunge into holy matrimony. Leaving the Bride or Groom at the alter and undoing months of wedding planning and expense is far more serious than the normal anxiety attacks suffered by an average person. As many studies and surveys show contrary to the popular perception of happy Bride or Groom to be before the wedding many women and men find this time of transition a very trying and stressful period in their life and some go to the extreme of not going through with the wedding at all. Our Society has experimented with many ways to cope with the fear of commitment, the most popular and now an accepted norm is living together before any kind of serious long term commitment. The point is if there is more than normal panic attacks involved here then the whole relationship needs to be examined carefully before taking the plunge into marriage(and before the pending Wedding day). If the both the parties involved sit together and take a look at the practical aspect of the relationship as opposed to emotional then this anxiety and concern can be addressed in a much more constructive way and will save loads of heartache and embarrassment for everybody involved. To have a long lasting and fruitful union in any form it is best to get the little issues out of the way and then the big issues will be resolved in the same manner. The key is communication. 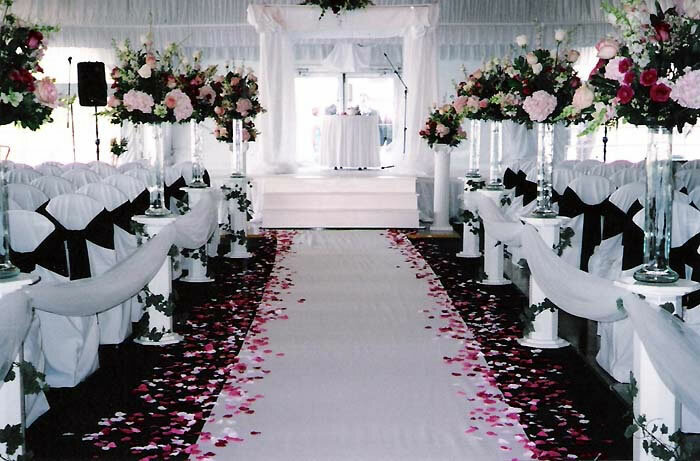 If you communicate your fears and concerns beforehand, there will be no body alone at the altar on the Wedding day. Generally, wedding cakes are the conventional cake being dished up to the guests at the wedding. It is characterized as a huge cake, different from the usual cakes we have on ordinary occasions. 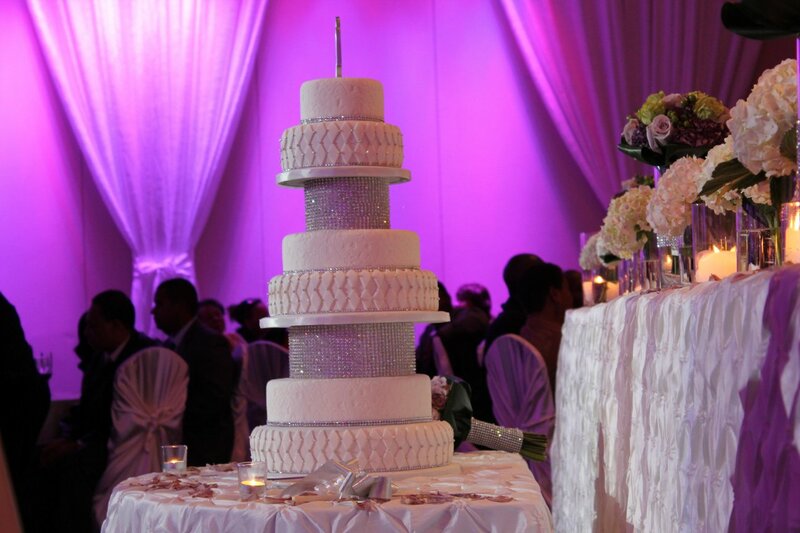 In most cases, wedding cakes are layered or multi-layered and are heftily decorated with icing, beads, and other embellishments that would reflect the grandiose of the event. On the top is a small image of a bride and groom.